Welcome to Bedford Fine Art Gallery. Located in historic Bedford, Pennsylvania, the gallery offers a wide variety of works from some of the greatest and most well-known artists of the 19th century. You can see all of our available 19th century works on our Gallery page. Our current inventory boasts a wide diversity of subject matter from landscape, marine, still life, genre, American historical/political, sporting art, and animal themes. 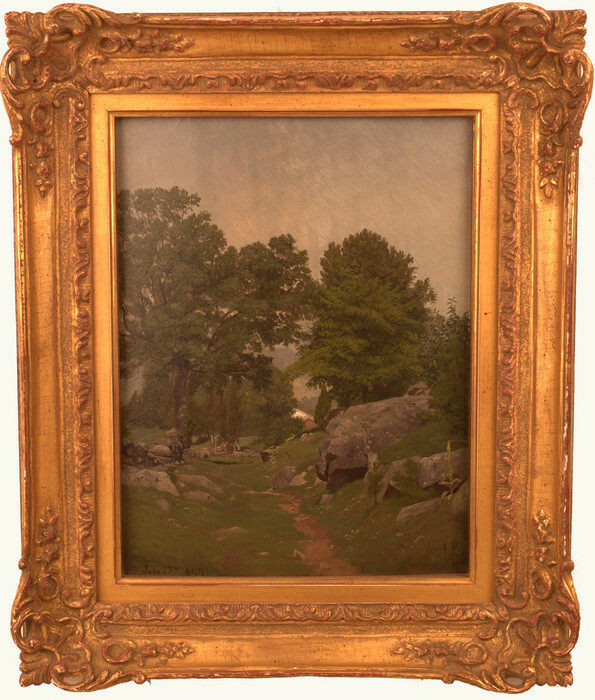 Our gallery features both American and European artists such as John Henry Dolph, George Hetzel, William Bromley III, and Barton Stone Hays, to name a few. To see more of our 19th century artists, please visit our Artists page. Good art is timeless and only you know what "wows" you. You know it when you see it and we hope you make that connection with a stunning painting from Bedford Fine Art Gallery. Thank you. You can see our passion and collecting skills when viewing over 150 outstanding paintings. Born in Ohio he later moved east. Little is known of his early life other than, like his father, who was an inventor, he exhibited an innovative streak. He is believed to have made improvements to the telegraph. Also lacking is knowledge of his art training; however, the 1860s through the 1880s found him living in Peekskill, New York. His style is considered Hudson River School, although not as well-known as other Hudson River artists. Although shy when involved in public events, Anderson exhibited at the Pennsylvania Academy of the Fine Arts (Pennsylvania) and the National Academy of Design (New York). Many of his works are privately held and are seldom seen in public displays. Born in Ohio he later moved east. Little is known of his early life other than, like his father, who was an inventor, he exhibited an innovative streak. He is believed to have made improvements to the telegraph. Also lacking is knowledge of his art training; however, the 1860s through the 1880s found him living in Peekskill, New York. 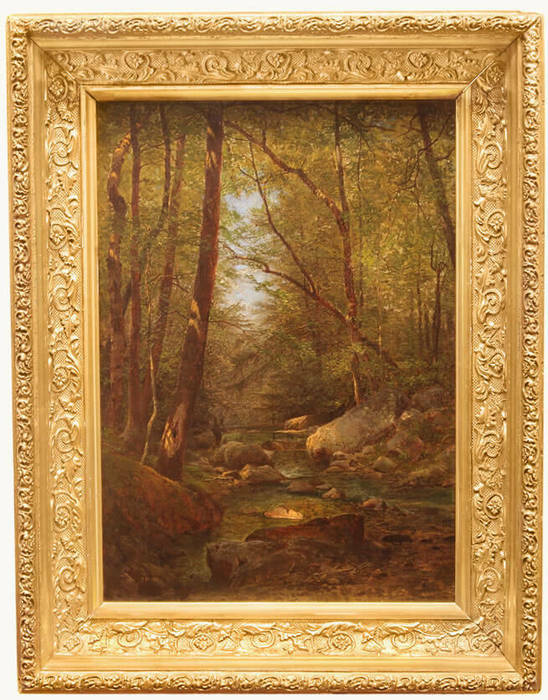 His style is considered Hudson River School, although not as well-known as other Hudson River artists. Although shy when involved in public events, Anderson exhibited at the Pennsylvania Academy of the Fine Arts (Pennsylvania) and the National Academy of Design (New York). Many of his works are privately held and are seldom seen in public displays. Bedford Fine Art Gallery is thrilled to have discovered this fine gem.